A pre race sampe was taken from Why Not Liv. Stewards spoke to Mr. G. Jennings, the trainer of Why Not Liv regarding the length of time the greyhound has had between races. Why Not Liv last raced on13th February 2018. Mr. Jennings stated that the greyhound was returning to racing after a change of kennels. Woodleigh Blaze, Bandit Brad and Why Not Liv were slow to begin. Bandit Brad and Why Not Liv collided approaching the first turn. Gnocchi checked off Five Lights approaching the first turn. Zipping Faith and Chase on Case collided on the first turn checking Chase On Case and Bandit Brad. Petite Harbour clipped the heels of Bandit Brad approaching the home turn. Satisfactory Trial Results (GAR 77A) - Stewards spoke to Mr. P. Borradale, the trainer of Shakey Breaky regarding the length of time since the greyhound last raced. Shakey Breaky last raced on 4th December, 2017. Mr. Borradale stated that the greyhound was returning to racing after a change of kennels. Pursuant to GAR 77A, Shakey Breaky trialled over the 315m from box 1, weight 31.6kgs, the greyhound was placed 2nd in a field of 5. The time of the trial was 18.49, the greyhound was beaten by a margin of 2.50 lengths. Shakey Breaky was Cleared. Satisfactory Trial Results - Sazana trialled over the 315m from box 3, weight 29.3kgs, the greyhound was placed 3rd in a field of 5. The time of the trial was 18.49, the greyhound was beaten by a margin of 2.75 lengths. Sazana was Cleared. Satisfactory Trial Results (GAR 77A) - Stewards spoke to Mr. G. McMillan, the trainer of Zipping Moore regarding the length of time since the greyhound last raced. Zipping Moore last raced on 30th September, 2017. Mr. McMillan stated that the greyhound was returning to racing after a right foot injury. Pursuant to GAR 77A, Zipping Moore trialled over the 315m from box 5, weight 36.3kgs, the greyhound was placed 5th in a field of 5. The time of the trial was 18.49, the greyhound was beaten by a margin of 14.25 lengths. Zipping Moore was Not Cleared. Satisfactory Trial Results - Keybey trialled over the 315m from box 4, weight 25.1kgs, the greyhound was placed 4th in a field of 5. 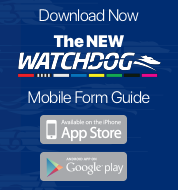 The time of the trial was 18.49, the greyhound was beaten bya margin of 10.25 lengths. Keybey was Cleared. Satisfactory Trial Results - Whodat Magic trialled over the 315m from box 8, weight 26.9kgs, the greyhound was placed 1st in a field of 5. The time of the trial was 18.49, the greyhound won by a margin of 2.50 lengths. Whodat Magic was Cleared. Satisfactory Trial Results - Elphaba Oz trialled over the 395m from box 8, weight 25.3kgs, the greyhound was placed 3rd in a field of 4. The time of the trial was 23.66, the greyhound was beaten by a margin of .50 lengths. Elphaba Oz was Cleared. 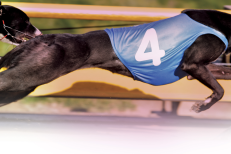 Satisfactory Trial Results - Sapphire Hawke trialled over the 395m from box 1, weight 31.5kgs, the greyhound was placed 4th in a field of 4. The time of the trial was 23.66, the greyhound was beaten by a margin of 1.50 lengths. Sapphire Hawke was Cleared. Satisfactory Trial Results - Bull Da Dash trialled over the 395m from box 2, weight 35.5kgs, the greyhound was placed 1st in a field of 4. The time of the trial was 23.66, the greyhound won by a margin of .25 lengths. Bull Da Dash was Cleared.